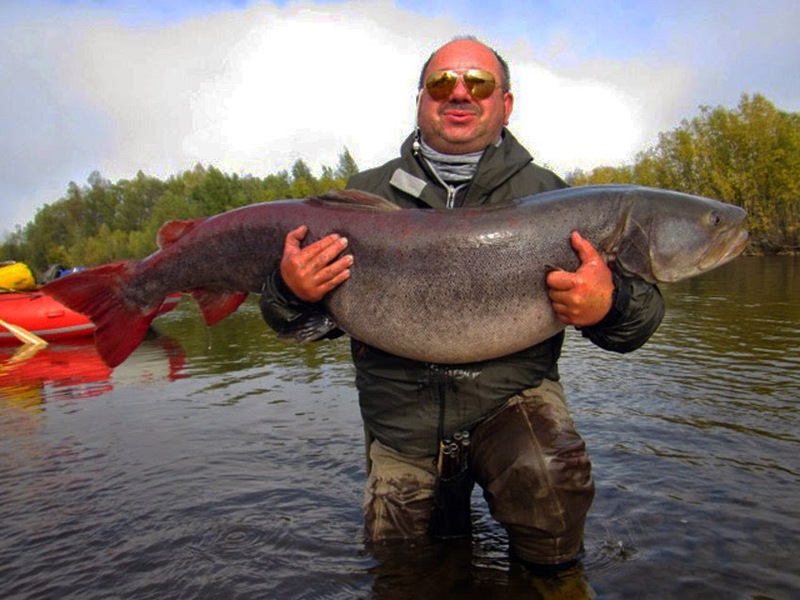 Chavanga Fish Blog: Giant Hucho taimen program. 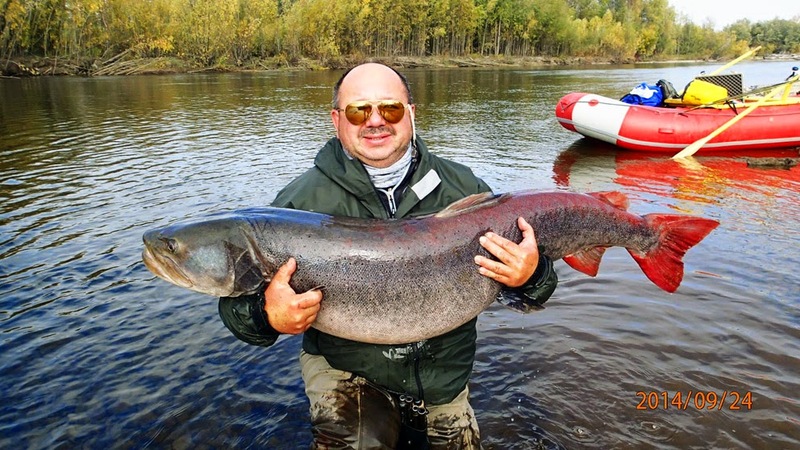 We offer 2 options of fishing trips for the largest taimen all over the world. Khabarovsk region. The river Tugur and the river Bichy. 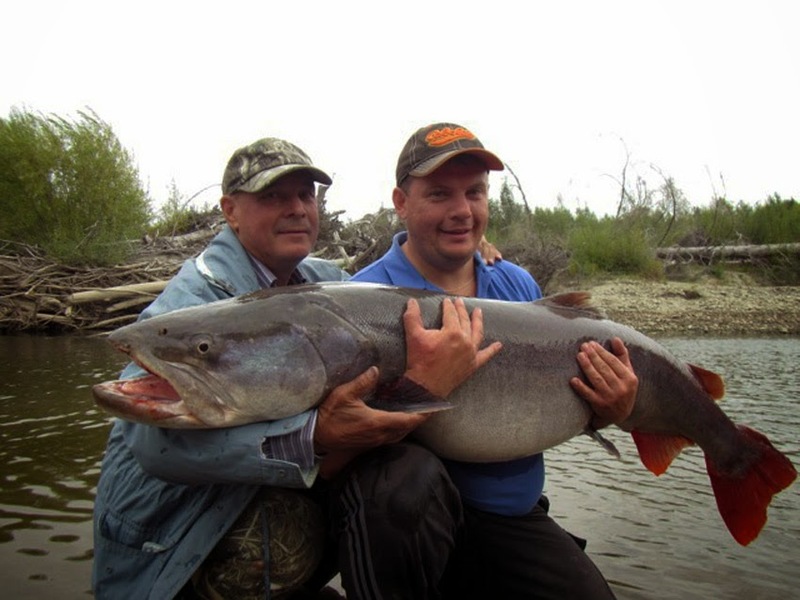 Fish population is an mixture of Siberian, Amur and the Pacific fish. 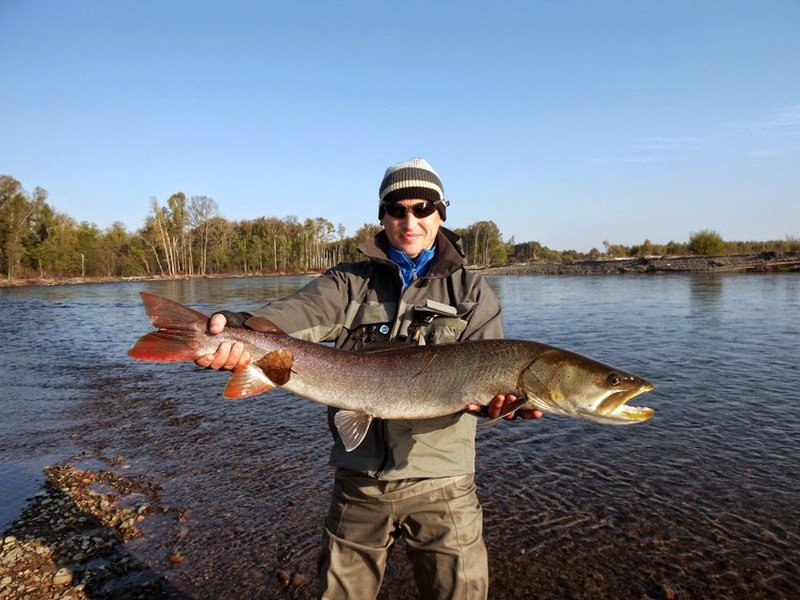 Taimen, siberian trouts - lenoks and two species of pikes - Lena, Amur pike, Hadar and Amur grayling are the most interesting for sport fishing. Pacific salmon - chum and pink salmon come, coho and sockeye salmon too. There is also a char-Malma. 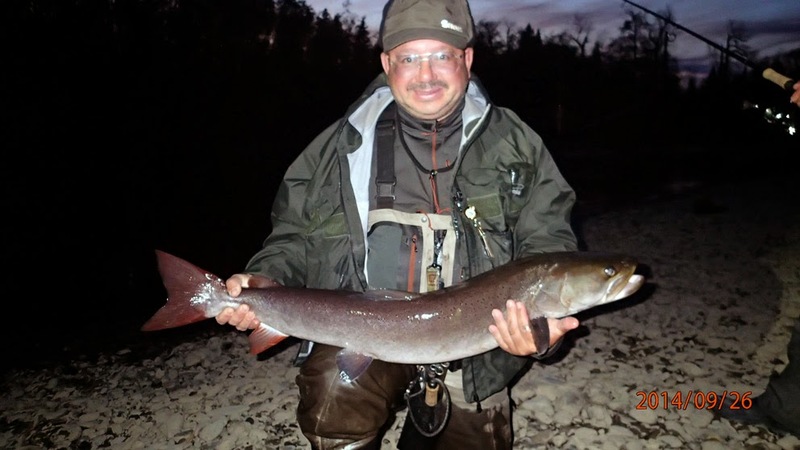 Bichy is smaller in size and it is more convenient to catch taimen and salmon on fly fishing . 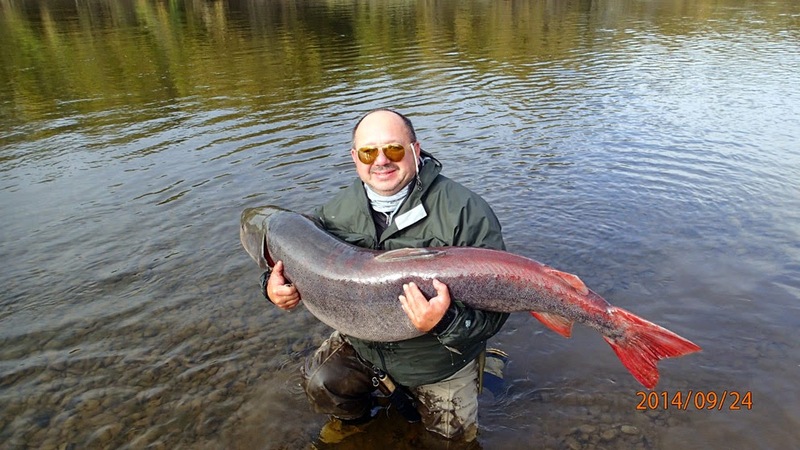 Giant taimens are less common here , the normal maximum size of trout less than 30 kg but its possible to land a lot of 20-25 kg taimens. This is the most comfortable fly fishing taimen trip. 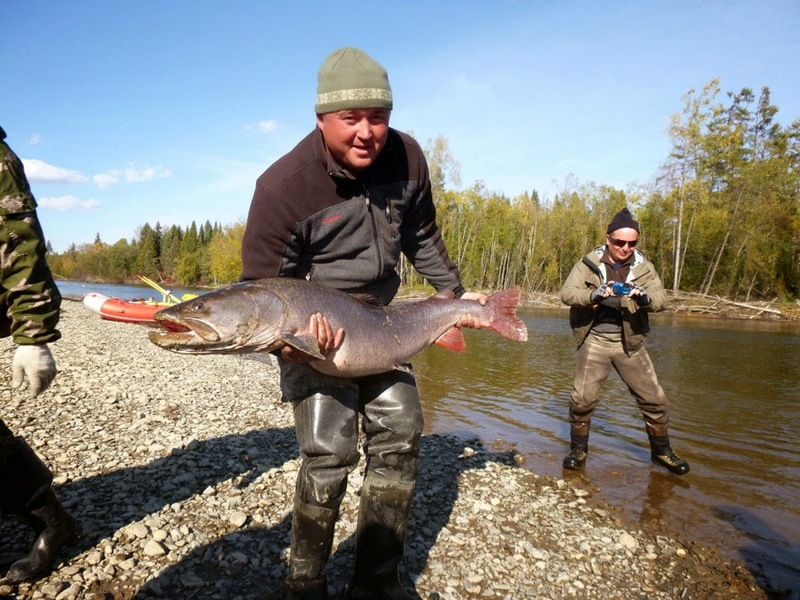 The best time for taimen fishing is June and early July, the second half of September, beginning of October. Rafting starts according water level and the wishes of fishermen. Tour duration is 9/6 days. 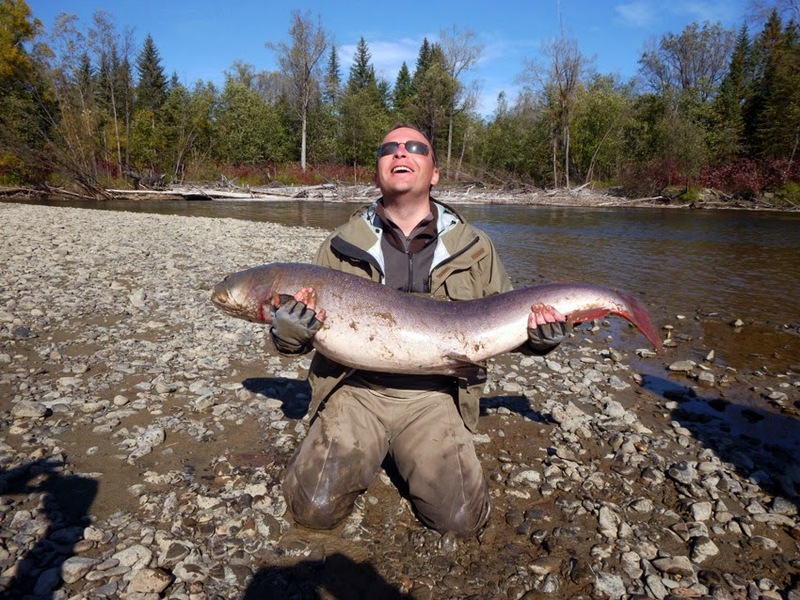 The optimum period is seven days rafting and 6+ full days fishing. The length of the rafting route could be 80 or 120 km. The alloy is carried out on four to six rafting boats "RAFTMASTER" under the management of experienced rangers at the rate of two or three anglers and one keeper on raft. Rafts equipped with a rigid frame with hinged oars, so our customers are taking up the oars only in passing difficult sections of the river. Rafts equipped with lifejackets. At the request of the group is accompanied with a motor boat for a mobile moving river. Equipment and things are going in a separate Raft. 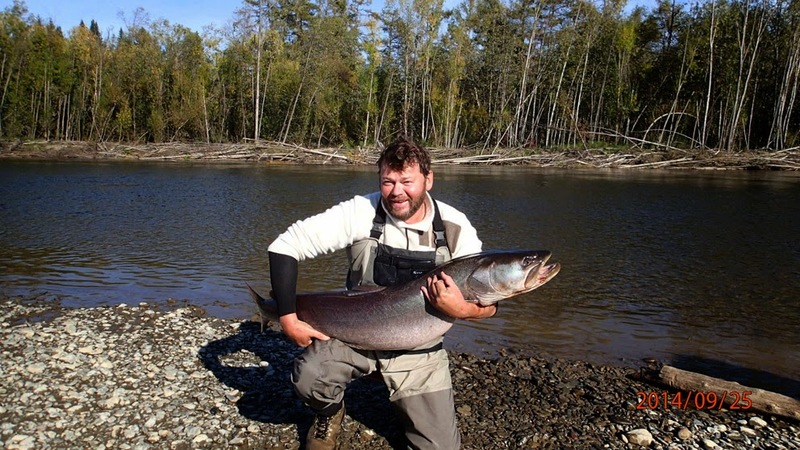 The main fishing – during stops at the interesting sites of the river, but also on the alloy anglers do not lose time. The group swims from 10 to 12 km per day, with a break for lunch and stayed in a beautiful and easy-to fishing spots. Basic quantity of rods – 6 rods. We could organize max to 8 rods team trip. We have near 6 hours of helicopter flights to and back. MI8 is a big one, no problem with luggage weight. The head of the alloy. Meals 3 times a day. One rod price is- price goes down to 3500 euro according Ruble/ Dollar exchange rates!!! $ for Tugur river trip. -Meeting - off in Khabarovsk. -Transfer Khabarovsk - Briakan - Khabarovsk. -Helicopter flight Briakan – river Tugur or Bichy - Briakan. -Rafts, life jackets and emptied of bivouac equipment (tents, mats, ets). -Three hot meals a day. Waterproof bags for the transport and storage on an alloy. Waders (waders) with shoes on felt soles. Membrane fabric jacket in case of rain. Thermal underwear and a warm set of pants with a jacket of Polartec material or Windbloc. The camera in a sealed box and nesminaemom. Personal first aid kit, personal hygiene. 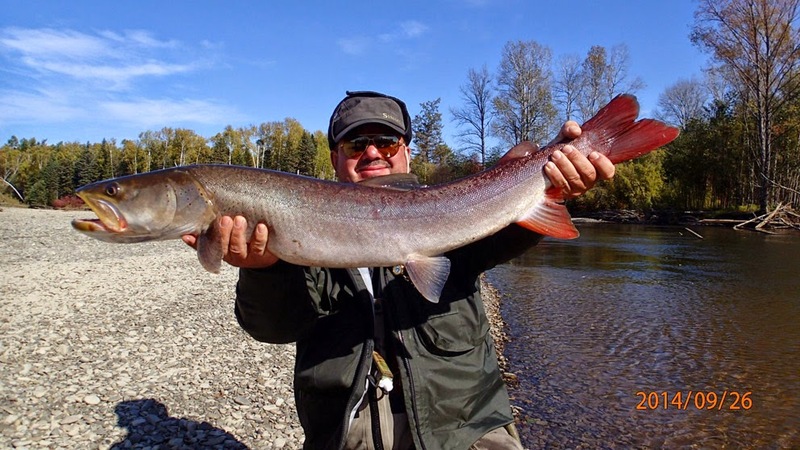 Here are articles about Hucho taimen fishing at habarovsk region. please take care of the taimen, many photos show very poor handling that is harmful to the fish. Your taimen are your country's treasure, there are no more of them, no where else in world. If you do not handle them with respect and care you will kill them. 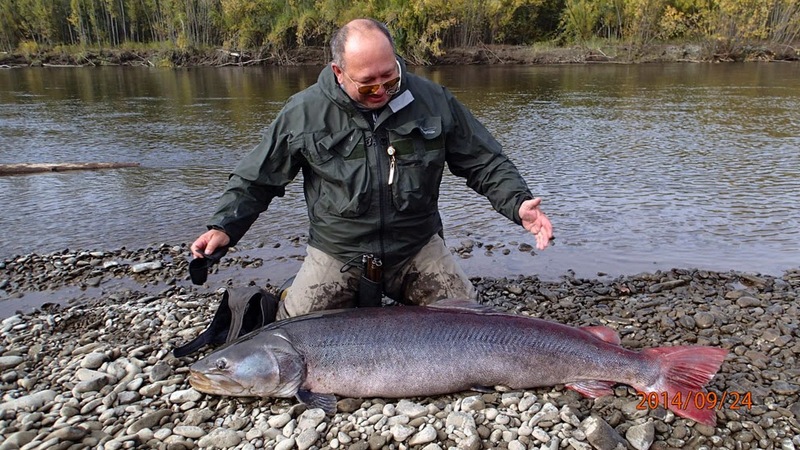 Then there will be no more big taimen, none for future generations, and none for you to catch either.